Royal Blackheath Golf Club's portrait of Henry Callender. When survival is on the line, people are willing to part with even their most treasured possessions. This is the very situation in which the oldest golf club in England finds itself. The Royal Blackheath Golf Club has been a fixture in London for over four centuries. Unfortunately for avid English golfers, the Crown Estate is readying to sell the property along with its iconic clubhouse. 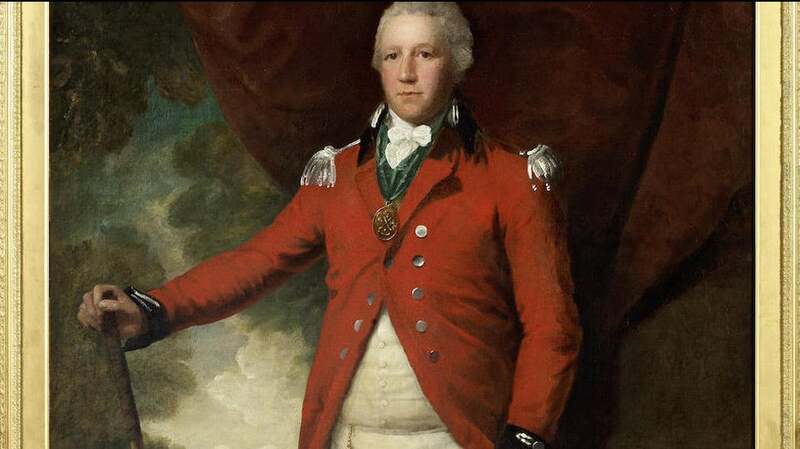 In an attempt to prevent the sale and preserve the course for the future, the club is selling its most prized possession, a portrait of Henry Callender, the Captain General of Royal Blackheath, according to a report by The Telegraph. The portrait is believed to have been painted around 1790, and prints of it hang in golf clubs around the world. It is expected to sell at auction for as much as £800,000. The club is also selling what is believed to be the putter featured in the painting. That putter is expected to garner an additional £50-80,000 at the auction. "We're terribly disappointed that we feel we need to sell this, and the only reason we would do so is that we've got a unique opportunity to buy the freehold of the golf club. It's the only reason that we could even contemplate selling something like that, to secure our future: they have offered it to us and the members are doing what they can to raise the funds to do that."